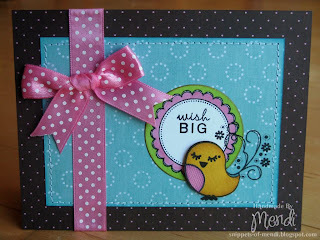 Snippets By Mendi: My card featured in Lawn Fawn's CHA booth! My card featured in Lawn Fawn's CHA booth! I am literally buried under a mountain of work. The day after Christmas I bought over 1500 Spring and Summer clearance items at Gymboree to sell on Ebay and for the past 1-1/2 months I have been preparing those listings and selling the items off. It actually took me about a month to get them ready and I then listed them all at once. Anyway, in the 19 days since I listed them I have sold and shipped out 1000 items. Phew! I am exhausted and unfortunately barely have had time to sleep, let alone be crafty. 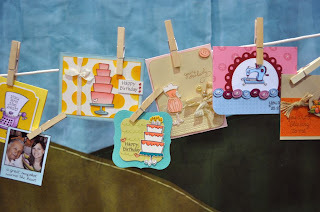 I did just finally get around to catching up over at the lawn fawn blog though and thought I would share a picture she posted of my card that was featured in their CHA booth. Yeah! It's so fun to see it among all the other great winners! The first two feature Unity Stamps that I just had to have a year ago and they're just now finally seeing ink. 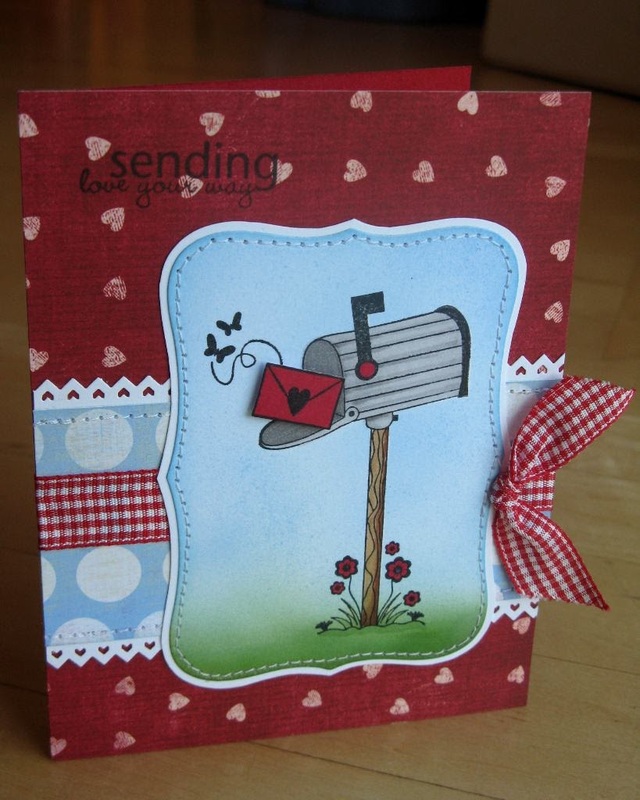 Colored the images with Copics and finally played around a little with masking off the mailbox image and pulling out my Copic airbrush for the background. I still have some learning to do in that department. This last one uses just some of those cheap $1 stamps from Imaginisce and some paper scraps I had laying around. I made several so I could have some quick birthday cards on hand. 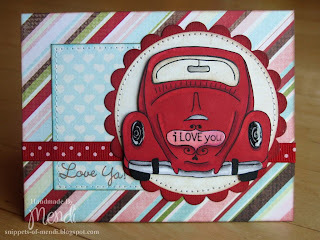 The sentiment is by papertrey ink who I am in love with.